The Chinese government is increasing its crackdown on Christians by actually rewarding citizens that report Christians to the government. Guangzhou has become the first city to offer up to $1,500 USD to any Chinese citizen that reports “illegal religious activities,” like underground churches or Bible studies, which was recently announced by their ethnic and religious affairs department. According to the South China Morning Post, the city’s crackdown has come down hardest on unregistered Protestant churches. The government has also demolished Catholic churches, Buddhist temples and Muslim mosques that were not government-approved. Not only can informants earn between 5,000 and 10,000 Chinese yuan for reporting a religious leader who is not Chinese, but they can also receive 3,000 to 5,000 yuan for reporting a foreign religious group, and 100 to 3,000 yuan for reporting local religious gatherings. Ying Fuk-Tsang, who is the director of the Divinity School of Chung Chi College at the Chinese University of Hong Kong, said the crackdown is more common than people think and allows for strict social control. Over the past year, the Chinese government has cracked down on Christian practices, while giving more freedom to grassroots officials to implement their own power over religious practitioners, shutting down small religious gatherings and implementing strong penalties against Christians. 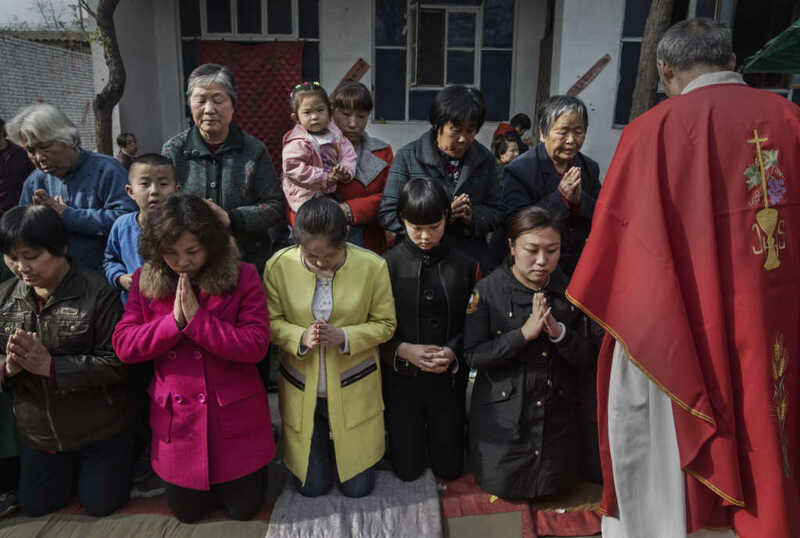 As Faithwire previously reported, in January, a document was issued to a city in the Shanxi Province by the Bureau of Ethnic and Religious Affairs that would regulate “church-free zones” near Chinese schools. The plan, officially known as the “Implementation Plan on the Special Governance of Private Christian Gathering Sites,” not only created mandatory “church-free zones,” but also required churches to give the names of youth members to the local government. In September, the Chinese State Administration for Religious Affairs (SARA) proposed legislation to further regulate Christian activity on their already regulated internet, Christianity Today reported. This type of law would prohibit things like online church services, which would be detrimental to Christians in China who already have extremely limited opportunities to hear the Word of God. There has been a steady increase in persecution from local governments over the past couple of years, with various cities implementing rules against all religious gatherings. In May 2018, Wenzhou and Shaoxing, two cities in the eastern province, banned all forms of religious gatherings — including Bible studies, prayer meetings and church services. Not only this, but they also called for citizens to renounce their faith, especially those who believe in Jesus Christ. As the plight of Chinese Christians seems to only grow worse over time, Western Christians can do their part by praying for the protection and perseverance of the faithful and their families as they continue to proclaim the Gospel in a hostile land.